Plug-in hybrids were the awkward second step away from strictly gas-powered vehicles, but can still help drivers cut down on fuel costs. The plug-in hybrid is to hybrid and electric cars what downloads were to CDs and streaming -- an awkward transition. As we mentioned in relation to the new Toyota Prius, the novelty of the hybrid is already on the wane. Low gas prices that are just now creeping over the $2 mark have brought U.S. drivers back to their old, nefarious partner in crime -- the SUV. Those who haven't gone running back to the gas guzzlers are openly embracing electric. Tesla has long targeted Toyota Prius drivers and will finally get into its price range when the $35,000 Model 3 makes its debut in late 2017. With $7,500 in federal electric vehicle incentives, the Model 3's price is closer to $27,500 and less than half the cost of Tesla's Model S at upwards of $70,000. Drivers began reserving them on March 31, but won't be able to actually drive them until production begins next year. General Motors, meanwhile, is racing to get to the low-cost, long-range electric vehicle first. Its all-electric Bolt is slated for 2017 and would offer 200 miles of electric range for $30,000, after incentives. That's actually 65 miles less than the Tesla Model S, but it's also considerably less expensive. It's also more than double the range of the current fleet of non-Tesla electric vehicles, which is led by Toyota's Rav 4 EV crossover and its nearly $50,000 price tag. However, if the hybrid was a stopgap technology between strictly fossil-fuel vehicles and electrics, then the plug-in hybrid is the stopgap for the stopgap. Considering that the revived Mitsubishi Mirage gets 44 miles per gallon on the highway and combined 40.5 miles per gallon from a combustion engine alone, both hybrids and plug-in hybrids now exist solely to bring down auto industry mileage numbers. The Environmental Protection Agency says vehicle fuel efficiency standards have to reach a combined 54.5 miles per gallon by 2025 for entire corporate fleets. However, the average fuel economy (window-sticker value) of new vehicles sold in 2015 was 25.3 mpg, according to the University of Michigan Transportation Research Institute. That's still less than halfway to the EPA and Department of Transportation's goal that they set back in 2012, though it beats the roughly 19 miles per gallon that the Department of Transportation measured for the same pool of vehicles in 1995. It's also closing in on double the average mileage of the light-duty vehicles on U.S. roads in 1980. As it stands, there are more than 35 new vehicles in the U.S. achieving more than 40 miles per gallon in combined mileage. 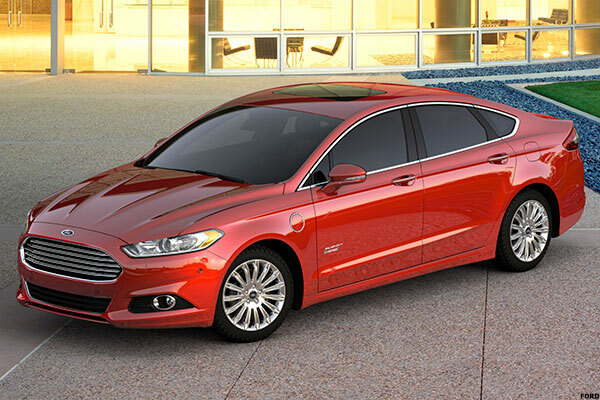 However, plug-in hybrid vehicles making up just three of them, according to the EPA. There are actually two new ones in the mix for 2016, but it's a net gain of only one after Honda dropped its plug-in Accord hybrid. We checked in with the EPA and found ten plug-in hybrids struggling to justify their category's existence. For the same price as the 21.5-mpg base model, you can sacrifice the 4-liter V8 engine and 449 horsepower in favor of the more-efficient, hybrid-aided 3-liter, 436-horsepower V6. It isn't as if you're going to be peeling out at green lights in this car, anyway..
More likely, you're going to be playing with 16-way power massaging ventilated leather seats, multicolor/multizone LED lighting, the fragrance system in the vents, the rear-seat refrigerator box, the 4-zone automatic climate control, the dual 12.3-inch entertainment and information screens, the COMAND information and entertainment system with touchpad controller, a Burmester surround sound system, free navigation, global radio, dual USB ports, 10-gigabyte music hard drive, in-car wi-fi and rear seat entertainment system. If you can get all the amenities and much of the performance of the all-gas model for the same price, you may as well conserve fuel while you enjoy the ride. It takes less than three hours to charge this beast at a socket and roughly 2 hours at a public charger or supercharger. You aren't getting a lot of power out of that charge from the 2.0-liter, 180-horsepower engine, but there are a lot of perks. 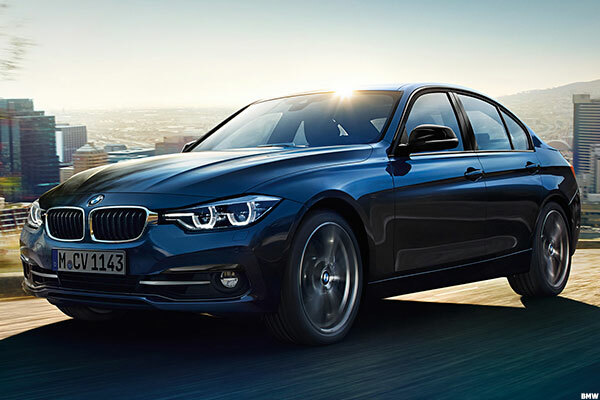 With 10-way power front seats, leather steering wheel, dual-zone automatic climate control, rain-sensing wipers and headlights, smart key that remembers all your settings (seat, mirrors, climate control and radio presets), four power sockets and nine-speaker sound system with HD radio, you're getting all the BMW benefits with better mileage than a Mini. Yes, a whole lot of other Audis have the same features, including Audi Connect capability. However, none of them are available at this price, which is still cheap for an Audi, or with this plug-in's mileage and features. For one, the Audi energy program offers a home charger (which charges this vehicle in 2 hours and 15 minutes) and available solar panel installation at your house. For another, this plug-in still manages 240 horsepower from its 1.4-liter engine. 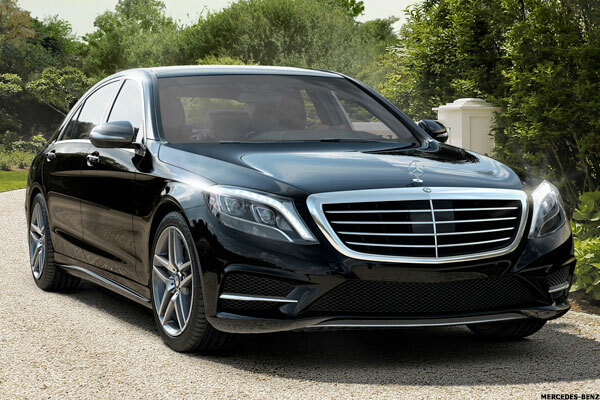 Meanwhile, you still get blinding Xenon headlights with LED trim, dual-zone climate control, a panoramic sunroof, leather seats, HD Radio, SiriusXM satellite radio, Bluetooth, rearview camera and rain-sensing wipers and light-sensing headlights. You also get the option of choosing Audi Connect, which can turn your car into a wireless hotspot, and driver safety features including blind-spot assist, lane assist and adaptive cruise control. 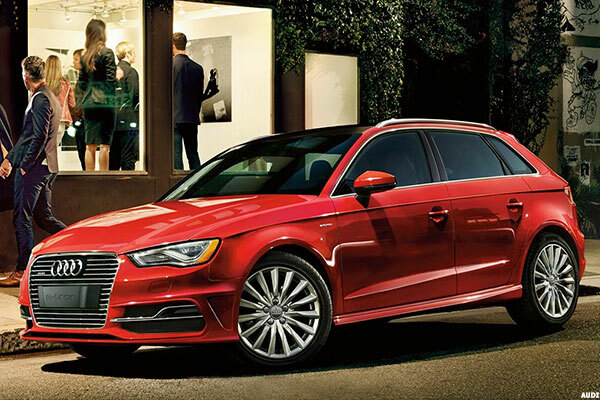 It's a bargain among luxury models, but this plug-in offers a lot even among Audis. The supercar scissor doors fool do a good job of hiding this fuel-sipping plug-in hybrid. That 357-horsepower, twin turbo engine on the front axle has only three cylinders and gets a whole lot of help from an electric motor on the rear axle. 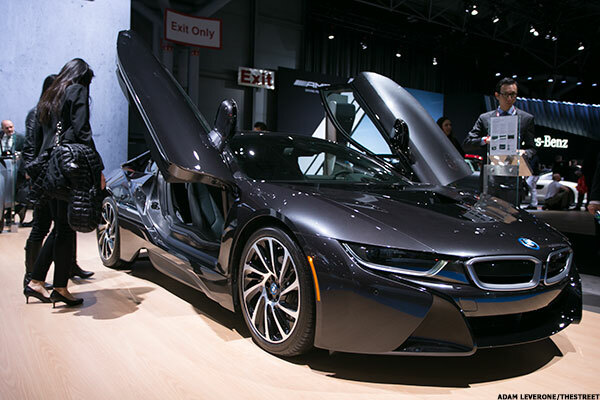 A combination of aluminum and carbon fiber lighten the frame enough to give the i8 a combined range of 330 miles and keep its gas-only fuel consumption down to a manageable 28 mpg combined. An 8.8-inch touchscreen display handles the navigation, telematics, concierge service, HD radio and satellite radio through voice commands, while a full-color heads-up display keeps all pertinent information at eye level. Combined with memory that restores your seat, climate, mirror, audio and light settings, all of the above gives the i8 sporty feel with more much more generous mileage. This basically comes down to an aesthetic choice. The C-Max looks like a meaner Prius, which is no coincidence considering that's the car Ford was gunning for when it produced this model. Though the hybrid version lags behind the competing Prius, though this plug-in's electric-only range outstrips that of its competitor. However, if you absolutely hate how the Prius looks and want everyone to know you're driving a Ford, the midsize Fusion plug-in hybrid looks just like its all-gas counterparts. They're both perfectly acceptable midsize options that include the MyFord mobile app and the Microsoft SYNC touchscreen infotainment system, but with similar size, mileage and price, it all comes down to which look suits you best. After a somewhat bumpy start with an unnecessarily paternalistic ad, Cadillac finally got this hybrid out onto the streets. Sadly, fewer than 2,400 people sprung for one in the last year combined. 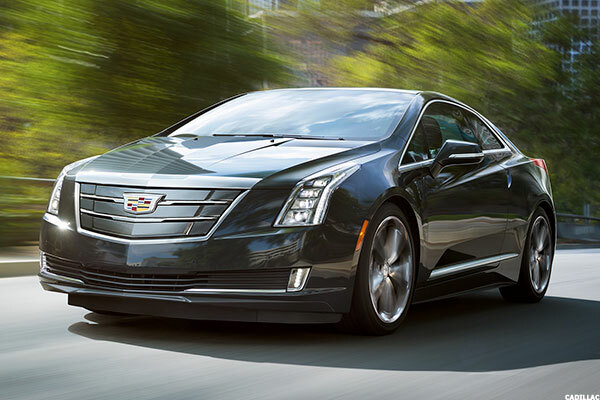 Unfortunately, Tesla's Model S sold about 20 times than many vehicles just last year alone while giving buyers a fully electric luxury vehicle for slightly more than what Cadillac charges for its plug-in hybrid. It's a shame, as the heated leather seats, Bose audio system, wood trim, 20-inch rims, collision warning, lane departure warning and front and rear parking assistance are all great standard luxury features. It's just a shame that buyers have been looking for something less... well... standard. It's a bit more efficient (124 miles per gallon equivalent) when it's not built with the available, on-board gas generator that doubles the vehicle's 81-mile range. That's well below the Tesla's Model S' 270 miles, but it's still the best use you'll get out of a gallon of gas. Also, because it's made with lightweight aluminum and carbon fiber, the i3 is far lighter than most other EVs and requires a smaller battery consuming less energy. Thus, its 117 miles per gallon equivalent is actually far more efficient than the Model S' 100 mpge, even if the latter has greater range. 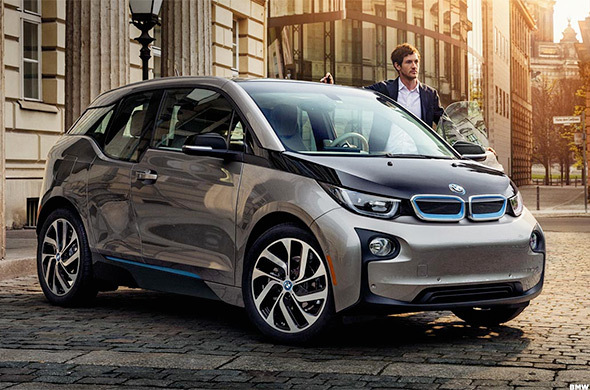 The i3 also packs 170 horsepower of performance and tons of interior space in an electric ride rivaled in speed by only the Tesla Model S. There is room for four full-size adults to fit comfortably, while the fold-flat makes the i3 surprisingly practical. 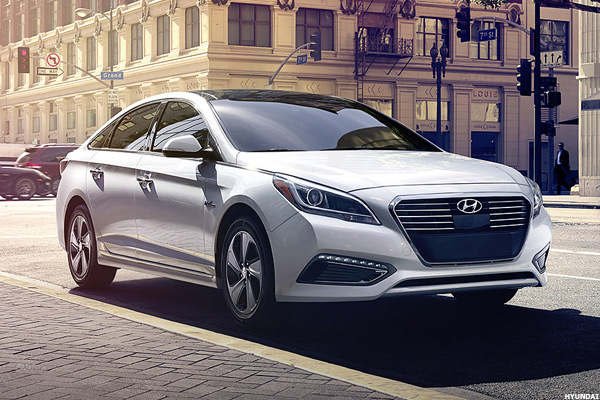 Yep, Hyundai's midsize get the plug-in Hybrid treatment for 2016, just as Hyundai introduces its Ioniq line of plug-ins. However, considering this is the vehicle owners are most familiar with, it makes sense that the Sonata would get the plug-in treatment first. The Sonata can't fit a scout troop or the midfield and defense of a youth soccer team, but for a family of four there's 106.1 cubic feet of cabin space that's among the roomiest in its class -- and larger than the C-Max's 99.7 cubic feet. There's 35.6 inches or rear leg room and the back seat bench can sit three adults comfortably and three kids with room to spare. A three-hour charge to go a scant 11 miles without using gas isn't great, but this plug-in is just holding space until the 120 mpge Prius Prime arrives later this year. 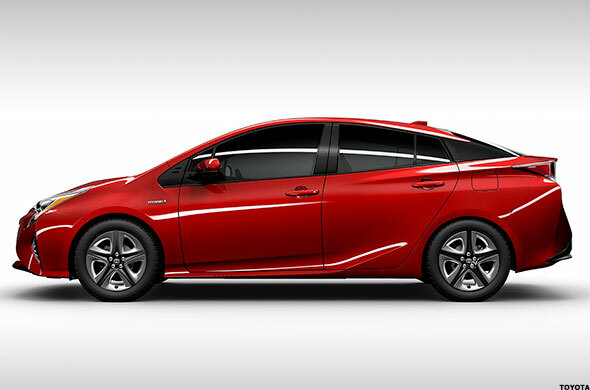 In the meantime, consider this plug-in Prius Megatron -- Prime's evil, ugly, hapless counterpart. Prius makes up for its lacking electric mileage with 50 mpg hybrid mileage that's still near the top of its class. It also gets owners some sweet state and federal rebates for their trouble, as well as an occasional comfy solo ride in the carpool lane to go along with 21.6 cubic feet of trunk space, remote climate control, headed seats, navigation system and Entune app center. However, knowing it's going to be replaced by a more efficient, redesigned version later in the year, hold out for a deal if you can. Nope, it's not the technology-packed luxury vehicle that it was once billed to be, but it's now about $10,000 less expensive. The original Volt was overwhelmed almost right out of the gate. If you took it out for more than 35 miles and you were driving very costly, somewhat inefficient hybrid. However, its silent interior became the foundation for its 2016 redesign that adds more battery capacity, subtracts weight and increases its all-electric range from 38 miles to 53. 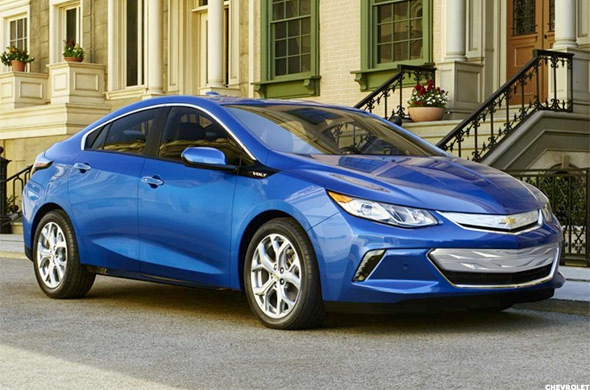 Not only is the sleeker body a welcome improvement, but the dual 8-inch LED color displays, Chevrolet MyLink apps system (with Apple CarPlay and Android Auto) all make the Volt feel less staid and sterile. The Volt didn't ask to be the awkward transition from hybrids to electric vehicles, but with the Bolt coming next year, the plug-in hybrid is making the most of its time in the middle. Stocks trade lower as disappointing results from Intel and Exxon Mobil overshadow strong U.S. growth in the first quarter. Slack Technologies files its formal indication to go public in a direct listing on the New York Stock Exchange that could value the instant messaging services group at around $10 billion.